Kids love to decorate the ponies! Sweet Pea- a beautiful paint pony! Sweet Pea, giving children rides! The Princess and Sweet Pea! Pony Parties! 🐎 Pony Rides!! 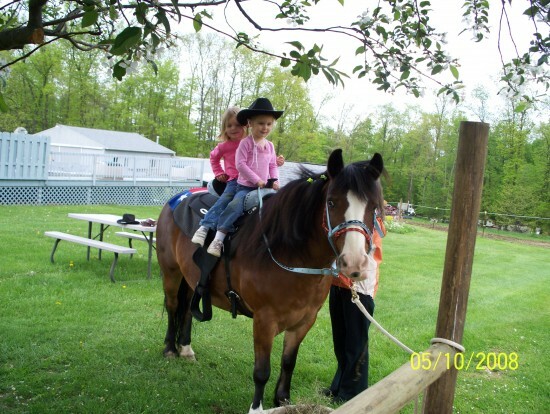 Pony Rides for ANY Special Event!! What a great experience! Everything was done so nicely and you had everything set up so awesome and made my daughter 5th birthday amazing !! What a wonderful birthday surprise for my son. the horses were great with the kids and karen was wonderful to work with. I highly recommend them for kids' events. Robin, Thank you for the great review! I have to say we had a very nice time. The children were so well behaved and were truly a pleasure to work with! Everyone was so friendly!! Thanks again and hope you all have a wonderful year. 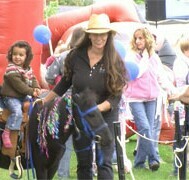 Karen M.
The Pony Party Express is great with the kids and the adults to. The people are great and are always willing to answer your questions. The ponies are very adorable and have a way with the kids. Every pony party I've had the kids just want to keep going. They never want to get off of the horses. I will keep booking these people every year for multiple occasions. They are very professional and the horses are very well taken care of. 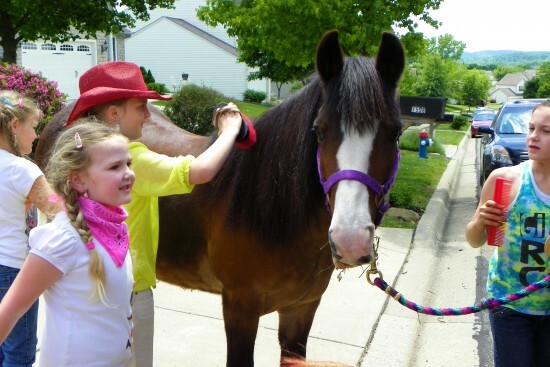 We give hand-led pony rides with a side-walker for the children's safety! We have three bundles of JOY... Beauty a large quarter-pony and Midnight a mini-horse and Sweet Pea! Depending on the size of the event and children's ages you can have any or all three ponies! Let us know what the theme is for your event and we try to decorate the ponies to suit your theme! 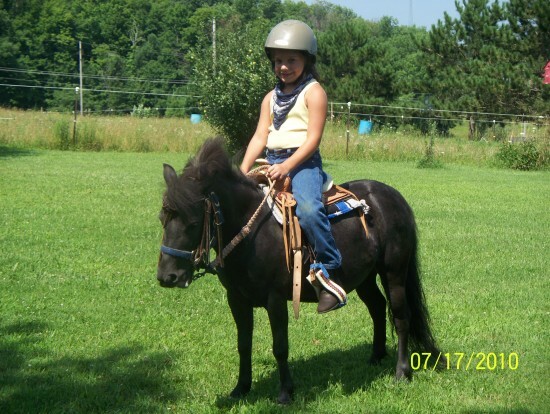 We can provide pony rides for an hour or two or even up to 8 hours (with breaks, of course!). Sometimes festivals or company picnics, etc...can last for several hours! Whatever you need we try to accommodate! We require a signature by a parent/gaurdian for each child to ride the ponies. No dogs running loose during rides, please! We need room to park the truck and trailer.